This weekend, Pope Francis’s visit to Philadelphia won’t be the only event drawing a large crowd. On Sept. 26 and 27, the small town of New Hope in Bucks County on the Delaware River is hosting the 22nd Annual New Hope Arts and Crafts Festival. More than 175 artisans from the Delaware Valley will be displaying their work for an expected 25,000 spectators and art lovers. The quaint, eclectic town on the river offers an alternative to the hustle and bustle surrounding the papal visit in Philadelphia. Festival officials have also organized free parking and shuttle services so visitors can drive in and then enjoy New Hope on foot, exploring the bistros, galleries and one-of-a-kind boutiques that make up the town. The festival runs Saturday from 10 a.m. to 6 p.m., and Sunday from 10 a.m. to 5 p.m. Admission is free, and the festival also includes a food court and live music throughout both days. For more information, visit www.newhopeartsandcraftsfestival.com. Favors was born in Philadelphia in 1941 and for nearly 40 years worked as a precision machinist at the Fisher-Porter Company of Warminster making parts for medical instruments. 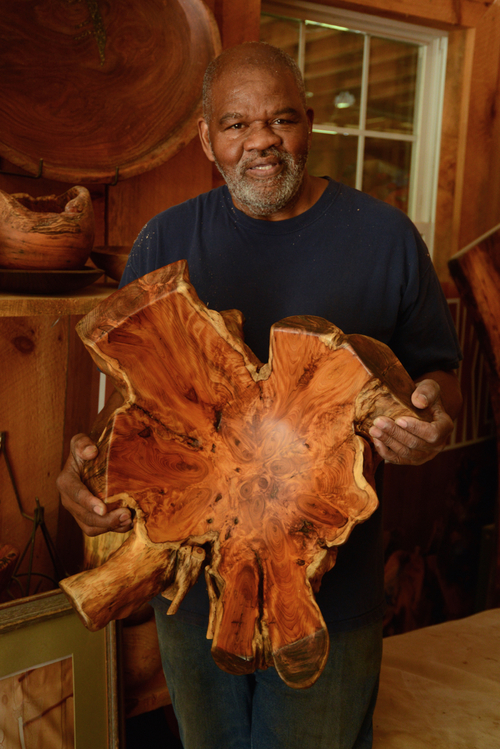 Late in his career, he became interested in working with wood which led to a second career creating bowls, vessels, furniture and sculptures in a range of native American woods including Norwalk Island Pine, Redwood, Walnut, Cherry. Pear, Ash, Honey Locust and Sycamore. Now widely known through the American Association of Woodturners, Favors works the material right to the limits and also manipulates the special characteristics of each piece into the final design. While other people might see these as “imperfections,” to him they represent something deep in the character of the materials. Studying pottery in Ireland, and master of glaze chemistry, Ted Green is the founder and full-time potter of Goose Creek pottery where it had its beginnings at his farm in Spencer, Indiana, inspired by Goose Creek, which ran along the farms boundary. 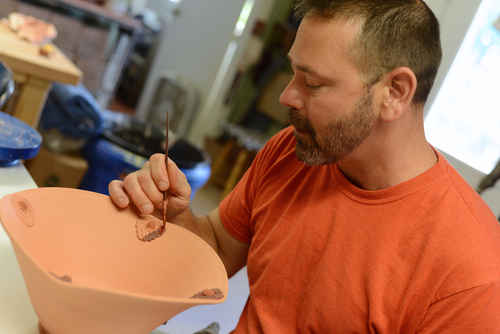 Currently, Goose Creek Pottery is located in Rosemont, New Jersey at the Cane Farm in the Delaware River valley. Ted also teaches intimate classes of one to three students a day, and will holds up to three Raku workshops daily. Goose Creek is also a fully functioning studio with various firing options for students. Stoneware, ceramic and porcelain art forms by Ted Green and Goose Creek Pottery are wheel thrown and altered, while being mostly functional and safe for food. Custom, one-of-a-kind orders are certainly encouraged.